Daylight across the coast of Chile revealed the extent of the carnage caused by what was the world’s strongest earthquake this year. It’s reported ten people have died. Fears of a tsunami have receded and the government has lifted an earlier warning. 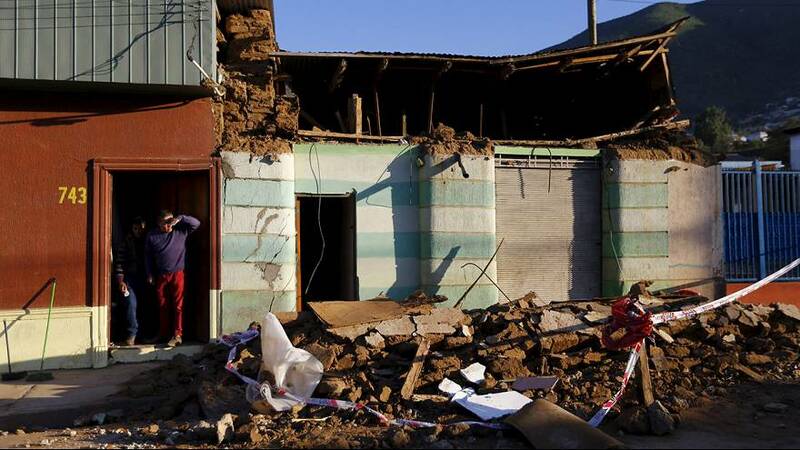 The 8.3 ‘quake struck off the coast near the region around the town of Canela Baja, some three hundred kilometres north of the capital Santiago. Four and a half metre waves battered the coastline. Thousands across the region were left with no power or water. President Michelle Bachelet said her government “learned a series of lessons” from previous disasters and is set to visit the worst affected areas. “Everything was totally flooded. The mud flowed in and flooded everywhere. There was just nothing we could do. We are just going to have to start cleaning up,” explained one elderly resident. Inland operations at at two big copper mines were suspended as a precaution while the state oil company ENAP said its two refineries were running at a minimal rate after staff were evacuated. The country is set to celebrate its national holiday on Friday but many roads have been cut off and transport cancelled.